A weekend getaway just outside your door! Even though it’s Friday, I believe that there is still plenty of time to plan a weekend getaway. But how can you plan something so big in so little time? Well, I’m glad you asked. I want to show you that a weekend getaway can be represented by much more than just an expensive trip. The weekend getaway can represent just a simple break from the ordinary routine of every day life. Just take a day for yourself and do something you enjoy. 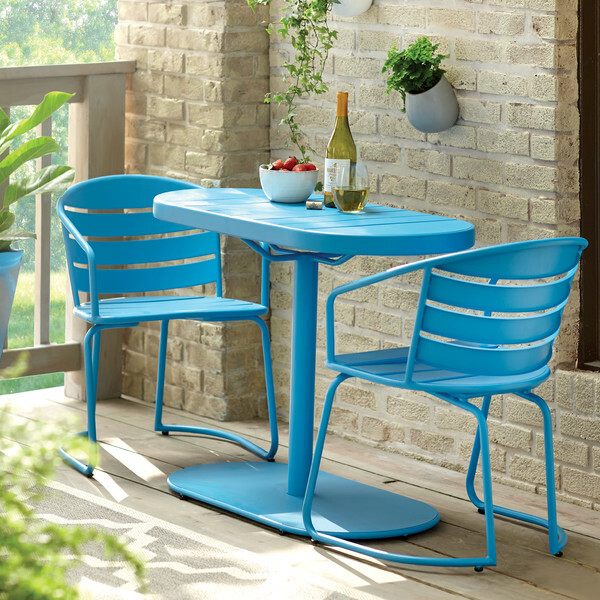 So in today’s article I will show you a few examples of lovely patio furniture. A simple set of chairs and table can be your escape from the ordinary life. You just need to learn to take advantage of it. 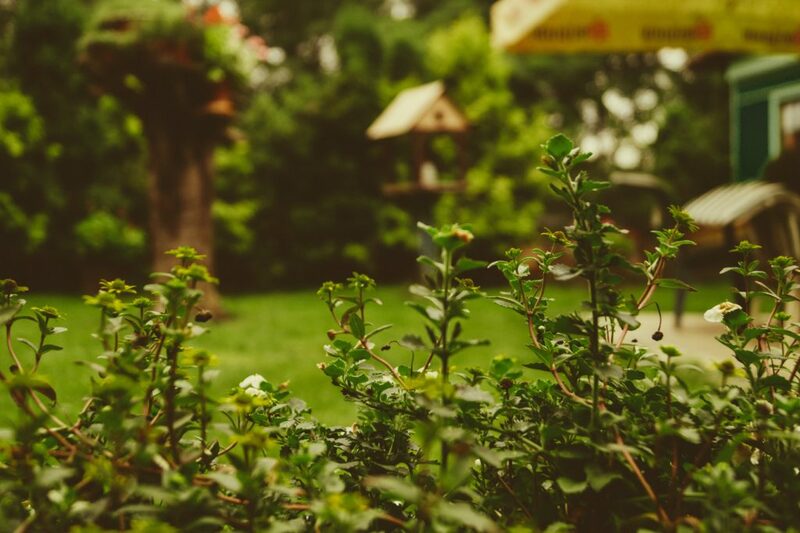 And it can be as simple as having your morning breakfast in the garden. Maybe you want to get some work done over the weekend. Get your laptop and take in a breath of fresh inspiration in your outside relaxation area. If you’re not in the mood for anything just take a couple of hours for yourself and get some reading done. These are only a few suggestions of what you can do to enjoy this lovely weekend we have ahead. And now let’s get to the furniture and why you should consider buying this for your own garden. First we have a lovely 3 piece set, perfect for a couple moving into a new house or looking for an upgrade. Designed out of durable metal and painted in a gorgeous light blue color, it can light up any hidden corner. No matter if you put it in your garden, on the patio or even in your balcony, this set will be the highlight of your space. Next up, we have a wonderful set that comes with its own beach like feeling. 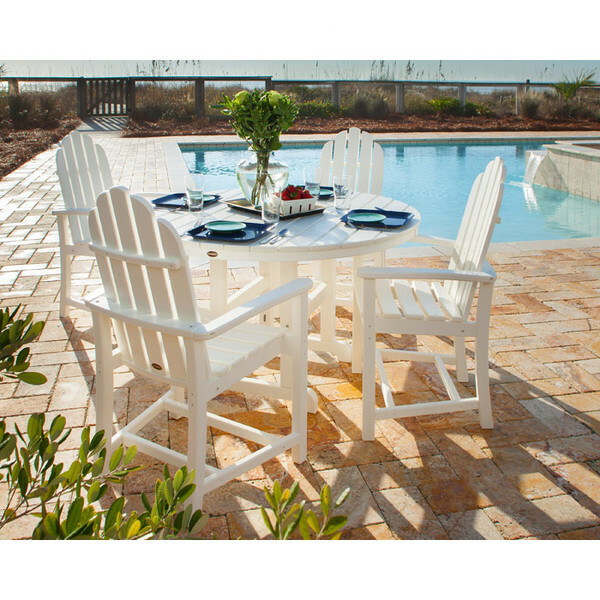 A classic white 5 piece set that will take your right next to the sea and offer you the same relaxation. A timeless design made with the help of plastic materials needs no high maintenance. The versatility of this set makes it perfect for both indoor and outdoor use and for your home getaway. Even though this is a 3 piece set, don’t worry, there is plenty of room for everyone. 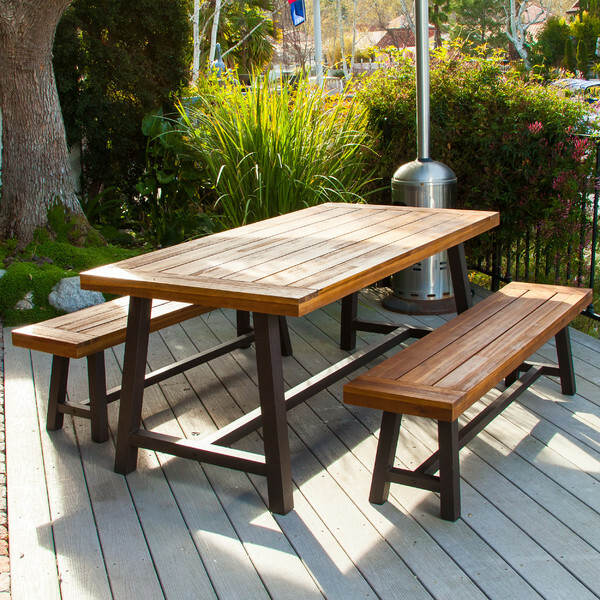 Composed out of a table with 2 benches, this set is made out of premium eucalyptus hardwood. With its lovely natural wood color, this set can enrich not only your weekend, but your entire home. This time I have a more unique set for you, made out of an aluminium frame with polyester cushions. Besides the materials, this set is also unique for having a table, 2 chairs, and 2 ottomans. This makes for a more unique approach instead of the usual 4 chairs, creating a more friendly format. This is a lovely option for your garden or patio and is a great choice for a couples home. When not used, you can store the ottomans in plain sight right under the table until you need them. I have always enjoyed the combination of natural wood color and white painted wood. This may be the main reason for which I like the next set but I can assure you that is not the only one. I also like this set because it is simple and has an intimate feel to it. Because both the table and chairs can fold up, they can be well stored away when not used or moved in case you need it. For a more classic look to your garden, I have for you this next set. 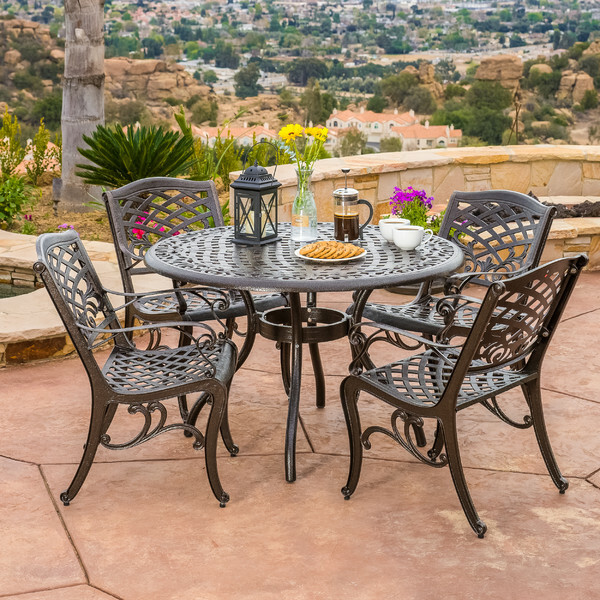 A 5 piece classic metal set which has a round table and 4 chairs with beautifully curved lines. This set is on the romantic side, perfect for a classic, leafy garden where you will want to have your breakfast every single morning, not just in a now and again weekend. Last but not least, we have the most classic of dining sets for any country home or garden. 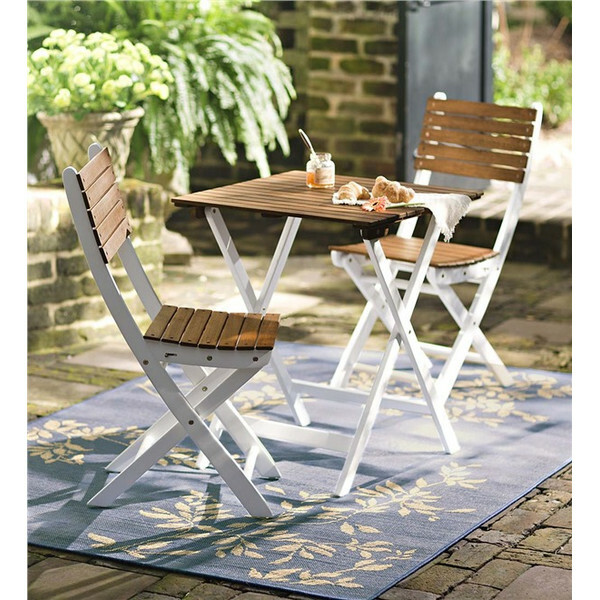 A very simple and classic 3 piece set, made out of wood and metal, represents the very basic of outdoor dining. This would be a lovely piece to have in a larger garden or well organized patio but perfect for family meals or outdoor evenings. Today’s featured image comes from Unsplash. Swing back to your childhood!